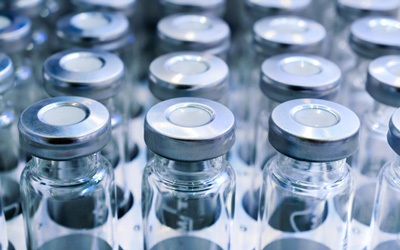 Biosimilar infliximab, known by its brand names Remsima and Inflectra, is the world’s first biosimilar monoclonal antibody (mAb) to be approved by the European Medicines Agency and the US Food and Drug Administration. 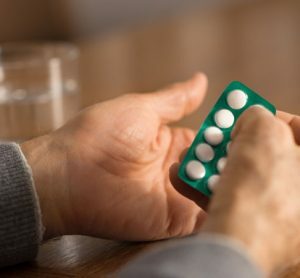 It was approved for the treatment of eight autoimmune diseases, including rheumatoid arthritis (RA), Crohn’s disease (CD) and ulcerative colitis (UC). Remsima has now been approved in 72 countries and has launched in 50 countries worldwide. 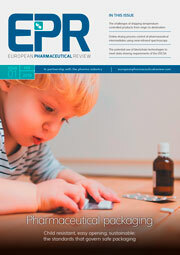 European Pharmaceutical Review recently caught up with Celltrion Healthcare to find out more about Remsima and biosimilars in general. It’s been a year since the launch of Remsima in Europe, please can you tell me more about the drug and its uptake over the last year? Following the launch of Remsima in Europe in early 2015, we now have a wealth of real-world data, with studies including nearly 5,000 patients receiving the biosimilar. As a result of this real-world experience, which includes patients who have been switched from the originator Remicade to Remsima, the positions of healthcare providers, payers, patients and medical societies have all become more positive towards the use of biosimilars. In the UK, NICE has recommended biosimilar infliximab in its latest guidance for RA, UC and ankylosing spondylitis (AS), and in Norway the Norwegian Drug Procurement Cooperation LIS has recommended that hospital physicians select biosimilar infliximab when treating RA, UC, CD and psoriatic arthritis. The Norwegian government is also funding NOR-SWITCH, a clinical study in which patients were switched from the originator to biosimilar infliximab. The high cost of biologics places a considerable burden on healthcare systems and can affect patient access to treatment. Biosimilars have the potential to offer considerable cost savings to health services and in doing so can contribute to sustainable healthcare systems and improved access to expensive drugs. Research has shown that, between 2007 and 2020, the use of biosimilars is expected to result in overall savings of between €11.8 billion and €33.4 billion, with biosimilar mAbs generating the greatest savings of €1.8 – €20.4 billion. In the treatment of RA, the total five-year cost saving offered by the introduction of biosimilars across the UK, Italy, Germany and France could range from €96 million to €433 million. In the treatment of CD, the total five-year savings offered by the introduction of biosimilars across the UK, Italy and France could range from €76 million to €336 million. Countries like Denmark and Norway that have embraced the introduction of biosimilars have experienced budget savings and greater patient access to biologic treatment. This trend is now spreading to Western and Southern Europe. What issues impinge the uptake of biosimilars and how can uptake be increased? The results of a 2015 survey of ECCO members showed that confidence in mAb biosimilars has grown, likely as a result of increased physician experience with the biosimilar infliximab Remsima. However, healthcare professionals understandably don’t want to take risks with patients’ treatment. It’s vital that all those involved in patient care – including physicians, nurses and pharmacists – are educated about biosimilars to support their appropriate use. Patients also have understandable concerns about new treatments; they know what it’s like when their disease isn’t properly controlled. Celltrion understands the psychological approach of patients towards their treatment and wants to support patient understanding of biosimilars by providing easy to understand information. Celltrion also believes that promoting communication between healthcare professionals and patients can help to alleviate concerns and misunderstandings. Healthcare providers have a responsibility to properly inform patients about their treatment, and patients have the right to ask for clear evidence. We aim to provide as much information as possible about biosimilars to help physicians, pharmacists and patients make informed decisions about treatment options and prescribing. Given the cost-savings that biosimilars can bring to healthcare systems, what can providers do to encourage prescribing of biosimilars? Payers and regulators influence policy and the ability to implement quotas and tenders. They can contribute hugely to the earlier uptake of biosimilars by making policies and treatment guidelines that support biosimilar use based on available data, including pharmacoeconomic data and real-world case studies. The budget savings offered by biosimilars will also bring significant benefits to payers. These savings can lead to improvements in patient care via the reallocation of budgets that could then be used for new treatments and/or for the management of previously neglected diseases. There should also be sufficient support from government payers in order to address the underlying concerns of physicians and patients. This has been seen with the Norwegian government’s funding of clinical studies and the UK’s gain-share agreements which allow the cost savings generated from switching to biosimilar infliximab to be distributed between clinical services and commissioners and used to deliver higher quality patient care. Over the next five to ten years there will be an increase in the number of biosimilars on the market, including multiple biosimilars for the same originator biologic. This will dramatically reduce healthcare spending for these expensive drugs and will also trigger a discussion about how to allocate these savings. One possible solution could be to revisit reimbursement limitations that are not in line with current medical guidelines. What purpose do interchangeability studies have in encouraging biosimilar prescriptions? For biosimilars, appropriate risk-benefit assessments must be undertaken in both naïve patients and those receiving biologic treatment who are switched to a biosimilar. For Remsima, data to support switching comes from trial extension studies of the two multiple-dose pivotal clinical trials that were the basis of the EMA and US FDA approvals. In addition to these clinical trials, Celltrion has published real-world data and will continue to facilitate further publication of key clinical information, as well as providing lay summaries. Celltrion also believes that advanced analytical methods that assess drug and antidrug antibody (ADA) levels could be used to develop biologic treatment tailored according to the disease status of individual patients. 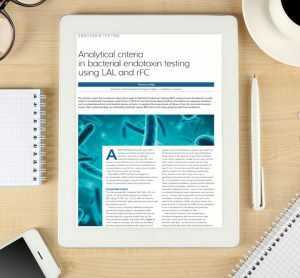 We have recently announced our research commitment to develop laboratory tests that will determine both drug and ADA levels in the blood, enabling physicians to identify when patients on an anti-tumour necrosis factor drug require a change of dose or a switch to a different treatment in the same drug class. NHS England has developed educational materials to improve understanding of biosimilars where it is currently lacking – please can you provide information on that? There have been a number of government-level efforts to provide education about biosimilars. In September 2015, NHS England published its first guide to biosimilars, providing key information on the developing role of biosimilars in the NHS, and the safe, effective and consistent use of biosimilars. Celltrion will continue to support the acceptance and understanding of biosimilars by providing real-world data on the use of biosimilar infliximab and by undertaking further clinical studies, including those looking at patients switched to biosimilar infliximab and a clinical trial of biosimilar infliximab in the treatment of CD. Each biosimilar that comes to market will need to be supported by similar data to ensure physician, payer and patient confidence in these new treatments. Please can you tell me more about the AIFA report that highlights the opportunity presented by biosimilar use in addressing the sustainability of healthcare budgets. The Medicines Utilisation Monitoring Centre (Osservatorio sull’impiego dei medicinali, OsMed), an affiliated organisation of the Italian Medicines Agency (AIFA), published a report on the use and expenditure of generic and biosimilar medicines in the Journal of Generic Medicines in June 2015. The report largely discusses the high burden of healthcare expenditure in Italy, highlighting that it accounted for 8.3% of total GDP in 2014. As a way to meet the growing demands of the healthcare system, and to address the sustainability of healthcare budgets, the report suggests an increase in the use of generic and biosimilar products. AIFA’s article confirms the efforts and investments of generic and biosimilar manufacturers in supporting better treatment access for patients and greater sustainability of pharmaceutical markets in Italy. What’s next for Celltrion? What other biosimilar products do you have in the pipeline? Celltrion’s biosimilar of trastuzumab, Herzuma, a mAb targeted cancer therapy, has been approved by the Korea Ministry of Food and Drug Safety for the treatment of breast and gastric cancers. We recently concluded phase III clinical trials of Herzuma and submission to the EMA is planned by the end of 2016, and to the US FDA by early 2017. Celltrion is awaiting EMA approval of its biosimilar mAb Truxima, a biosimilar of rituximab, and will conduct clinical trials of its biosimilars for bevacizumab and adalimumab this year. As well as our strong product pipeline, in order to enable greater convenience for patients with chronic diseases, Celltrion plans to develop a subcutaneous version of Remsima.